Snow is here with cool temperatures, winter has arrived. Its time to focus on staying warm and getting out to enjoy the winter and finding places to take photos. Winter provides very limited time for photography with shorter days, its even more important of get out on the weekend. The morning I took the attached image, I decided to stay close to home. 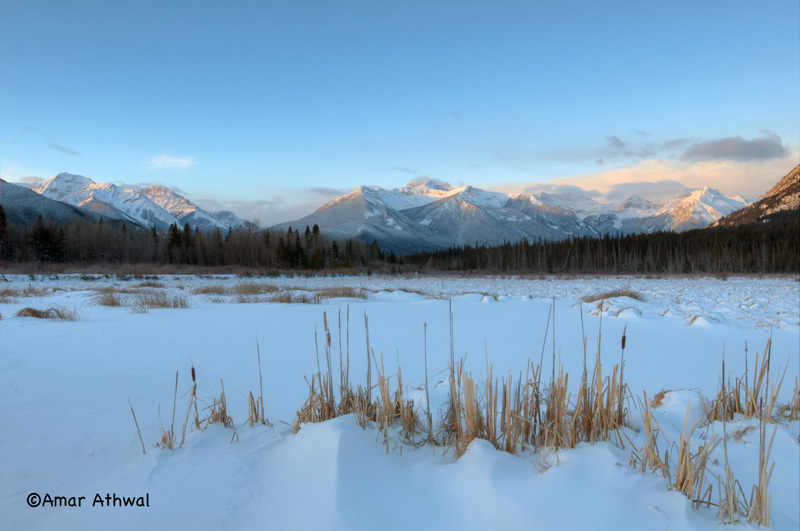 The image was taken just west of town of Banff. In the winter the sun is lower in the sky compared to the summer, giving a longer period of time with decent light for photography. Clouds were waiting for sunrise,but a respectable light gave me calm picture of the Massive Range after the light got over the clouds.